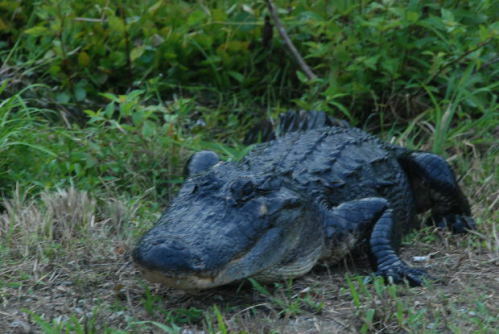 Two Wild Alligator Tales Involving Walmart & A Hot Tub! 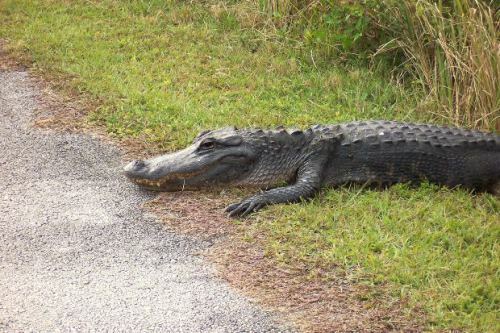 Just the other day (October 20th, 2013), a five to six foot long alligator wandered around the entrance to an Apopka Walmart around midnight and stuck around for about an hour before disappearing into a nearby swampy wooded area. Workers at the Walmart shut off at least one of the automatic doors to keep the large reptile from accidentally strolling inside the department store, and thankfully no one was inconvenienced or harmed by the gator’s late night browsing! Meanwhile in Vero Beach, a man found a small alligator on his property when he moved in a year ago and decided to keep the little fella in his hot tub as a pet. Although the gator survived on a nice diet of chicken, its living conditions in the grimy hot tub were absolutely appalling. 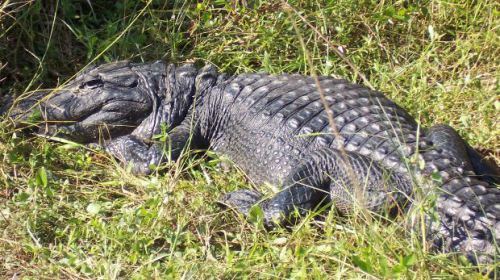 A detective from the Indian River County Sheriff's Office noticed the gator when he was serving a warrant at the address last week, which led to the alligator’s owner being arrested for keeping an alligator without the necessary license and permit. Although a small alligator would definitely appreciate the predator-free freshwater swimming hole that a hot tub provides, there was no way for the little gator could not escape his filthy enclosure or hunt for its own food. Either way, both stories ended without any people or alligators being hurt, so it’s a win-win for everyone! Woman Feeding Alligator -- The "Don't Do This" Animal Video of the Day!!! Dinocroc vs. Supergator? I'm in for the Animal Video of the Day!! !